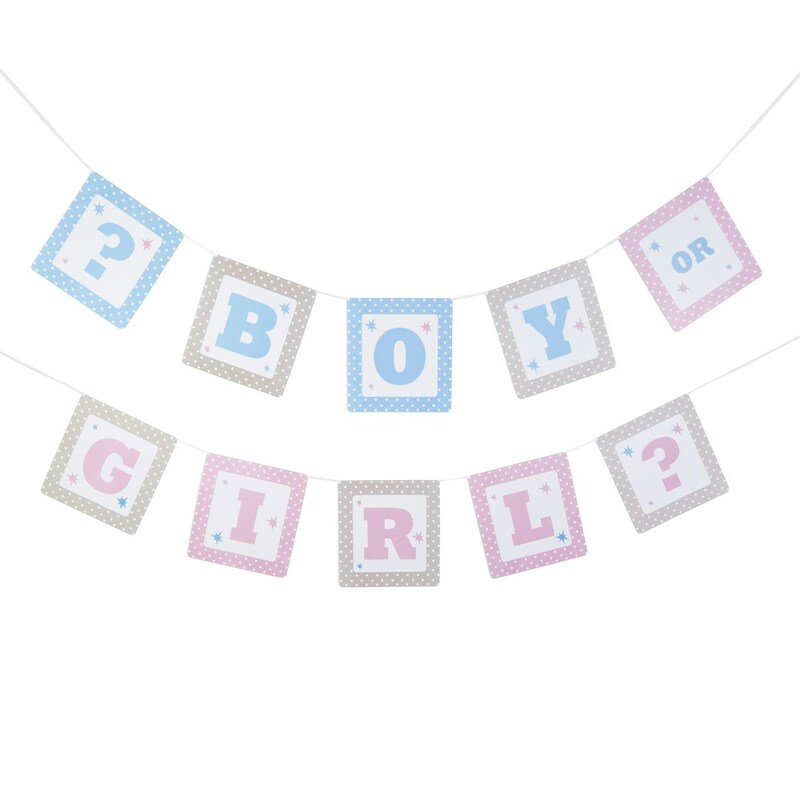 Gorgeous paper bunting produced from high-quality, durable paper, adding a stylish touch to décor for your gender reveal party. The bunting features square flags adorned with polka dots, stars and pretty illustrations in a baby theme. With its unisex colours and contemporary design, this paper bunting makes a wonderful addition to your décor whether indoors or outdoors. Each pack of Bunting contains 10 flags and measures 3.5 metres in length.